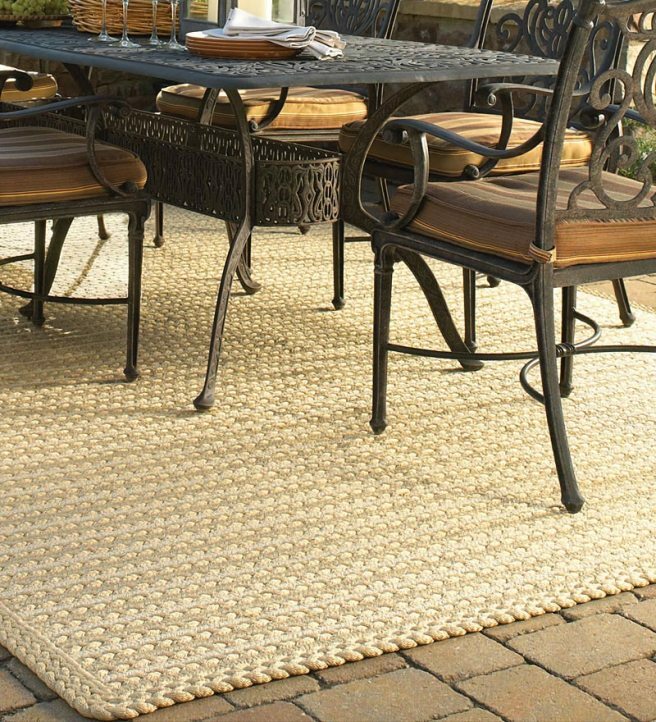 Having an outdoor rug is a great way of keeping your porch cozy and clean. 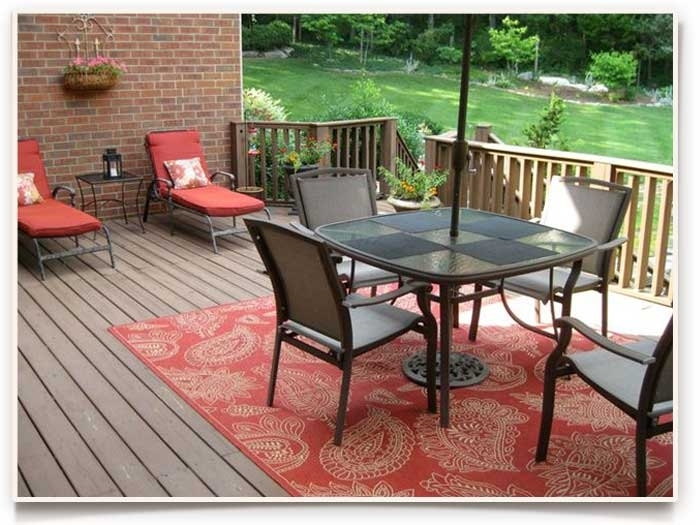 It also adds a splash of color to your decking without much effort and protects patios or decking areas from getting unnecessary scuffs. However, before you find the right rug you will have to put a couple of factors into consideration and some of these issues are highlighted below. Prior to your purchase, you will need to measure your porch so that you know the exact area that you need the rug to cover. This will ultimately determine the size of rug to buy. Knowing the exact area that the rug covers also helps in determining the shape of rug. 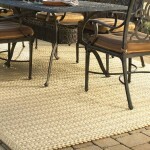 If you just want a small rug that will cover the doorstep then an outdoor accent rug would be a suitable option. There are plenty of fabrics for outdoor rugs to choose from therefore, you have to take your time in order to find a suitable material that will guarantee the durability of the rug. 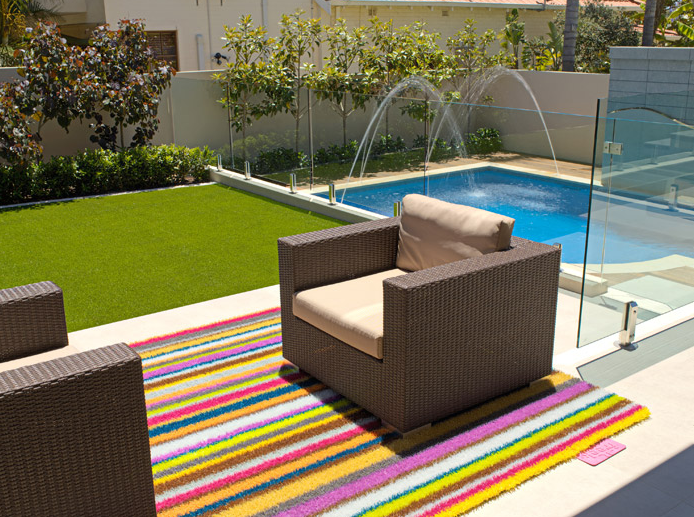 This is due to the fact that an outdoor rug is subject to extreme weather conditions. Natural materials such as sisal and bamboo may seem ideal however, they are greatly affected by mildew, rain and snow. If you stay in an area that is prone to harsh weather conditions it would be advisable to settle on a rug made out of synthetic fibers such as acrylic or polypropylene. It is important to ensure that the rug you finally choose has is in line with your décor theme. 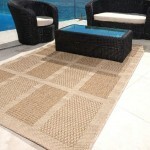 Although it is placed outside, the rug adds to the aesthetic appeal of the house. There’s absolutely nothing wrong with trying out new colors. 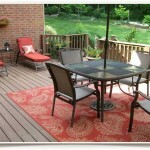 You can be adventurous and choose patterns or bold solid colors that will make the outdoor space come alive. 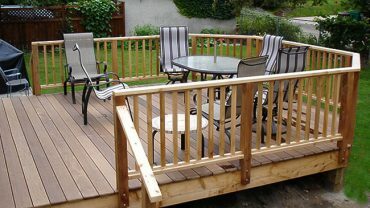 DIY Tip of the Day – What Side Should Decking Groves Face?